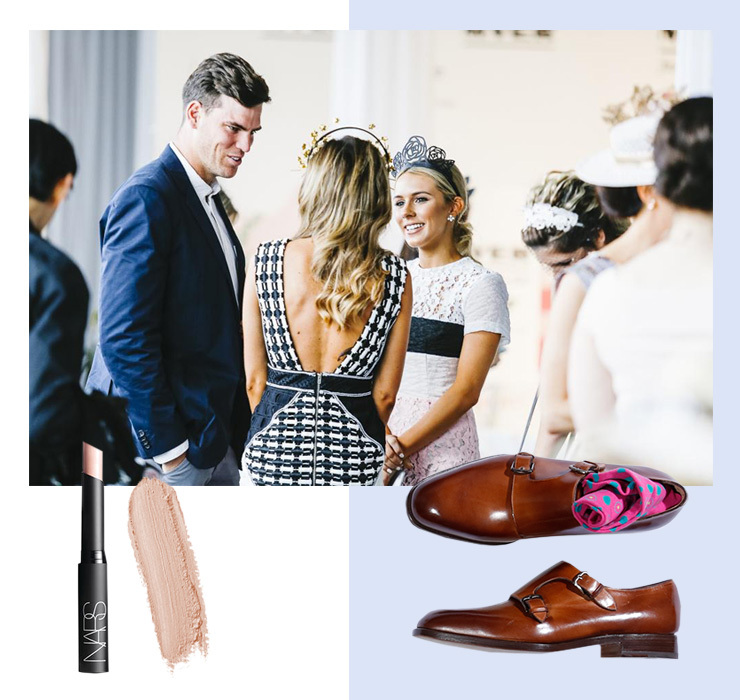 Racing season is upon us which means it’s time to frock up and enjoy a drink or two… Oh and maybe watch a race? If you’re not quite sure where to start when it comes to the Ascot Racing Carnival, then let us help you out. The event you really can’t miss is The TABtouch Perth Cup Day on New Year’s eve, where they're anticipating a 20,000 strong crowd. To celebrate this iconic Summer event, the guys at Ascot are turning it on with the likes of The Presets, plenty of flowing Champagne, the new two-storey Embargo Bar with 180 degree views, loads of live music, a barber and shoe shiner to keep the gents looking dapper and so. Much. Good. Food. 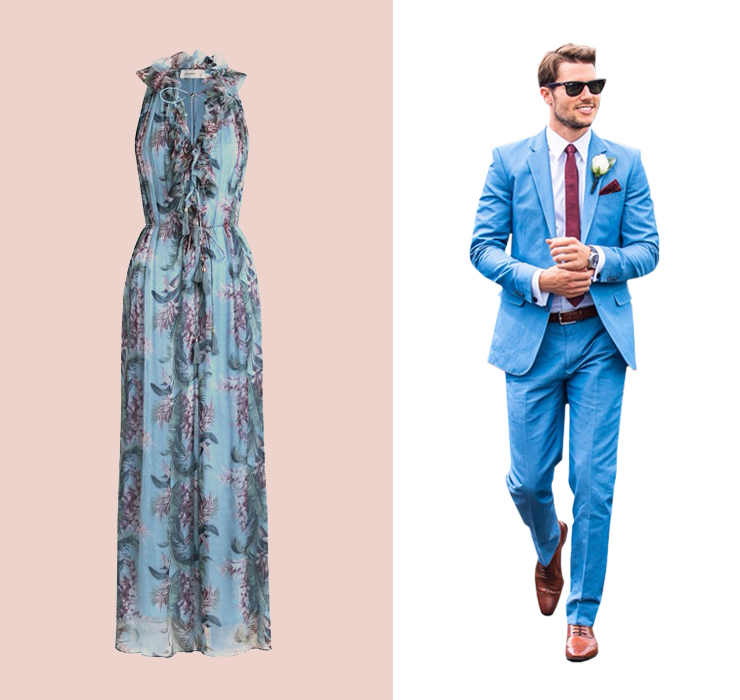 Here’s everything you need to know to have the ultimate day out at the races. Ladies, there are a lot of rules around race day fashion but let’s face it, rules were made to be broken so don’t be scared to rock something a little out there like this Zimmerman jumpsuit or a smoking hot pantsuit. If you want to play it safe, a pretty print will always do the trick—just avoid sequins and super short hemlines and you’ll be good to go. Gents, the same goes for you—rules are made to be broken. Ditch the boring black suit and rock a light grey or a blue suit. Add a bit of a colour with a tie or go all out and find yourself a bowtie—the ladies will appreciate it! Gals, the races are no longer all about the traditional fascinator, but you do need something on your head—this is one rule you shouldn’t break on race day! 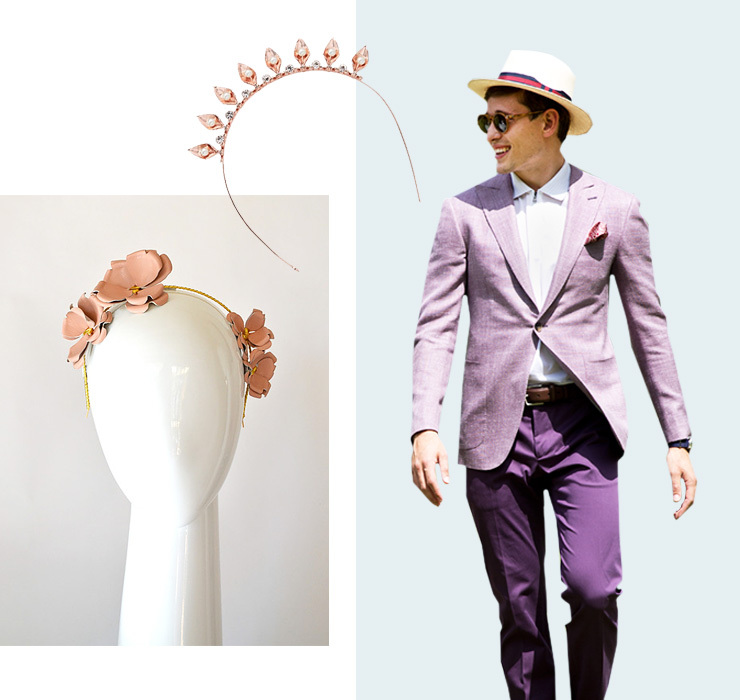 We’re loving the metallic headpieces on offer at Debbie Kelly Millinery and we’d never say no to a flower crown. Gents, if you can pull off a hat then go for it, otherwise just make sure your hair is brushed and your beard is trimmed. Ladies, we’re talking shoes, hair and makeup for you. Let’s start with shoes. Don’t be that person who can’t walk in their stilettos. For a day at the races, wedges and block heels are your friend. Enough said. When it comes to your hair, almost anything goes, just keep your dress and your fascinator in mind. Soft curls work best with a flower crown, while you can afford to go for a sleeker pulled back style if you’ve got the fascinator to match. Just remember that your fascinator will sit best in hair that isn’t super clean so get your dry shampoo at the ready. As for makeup, we like to keep it soft and fairly natural looking as let’s face it, it’s going to be a long day in the sun and no one wants panda eyes at the races. Opt for lighter eyes and a bold lip, just remember to take your lippy with you for touch ups. Guys, things are pretty easy for you when it comes to the details. You can visit the barber and shoe shiner at Ascot to make sure your shoes and hair are up to scratch. Just make sure your suit is dry cleaned and you’re set for a good day out! General admin is fine, but come on, it’s time to treat yo’self to something amazing. Get yourself tickets to one of the hospitality areas where you can make the most of the amazing food and bubbles on offer. So what can you expect at the TABTouch Perth Cup Day this new year’s eve? For the first time in a long time, TABTouch Perth Cup Day is happening on 31 December instead of 1 January so you can really enjoy the day without a pounding headache from the previous nights’ festivities, huzzuh! If you really want to celebrate, grab a ticket to the Champagne Marquee where you’ll get a four course lunch and plenty of champagne and premium spirits. If you want something a little more laid back, opt for the Picnic at Perth Cup where you’ll get a table for eight in a reserved (and shaded!) area with entertainment by The Presets, food and drinks. If you do find yourself in general admin then don’t despair, there’s plenty of good times to be had there! Make your way to the Chandelier Bar or the Mumm Champagne Bar for a drink before hitting up the food trucks to line your stomach. If you can’t find a spot in the shade and it’s too hot to stand trackside you can catch the race on the brand new big screen above the Crown building, and then head to the Stone Motherless Bar to cool down. For the full run down on all the race days, check out this handy guide to the Ascot Racing Carnival. Editor's note: This article is proudly sponsored by Perth Racing and endorsed by The Urban List. Thank you for supporting the sponsors who make The Urban List possible. Click here for more information on our editorial policy.